One Eternal Day: Can man rule himself? We went to audience questions. Petrina, very serious, asked for help in dealing with her "sense of powerlessness and sadness." I said people propose various schemes, but "Nothing works apart from Jesus Christ." 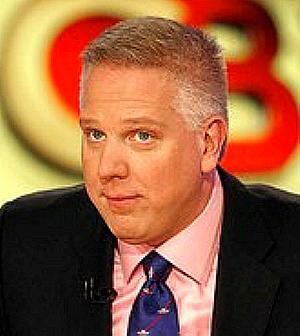 Beck said, "That's not the way I would have answered it," then added a diplomatic, "but it's a good answer." He offered his prescription for a disordered society: "We just have to put it all in order. We have to enlighten ourselves, educate ourselves, empower ourselves, and then be creators. That is the solution." Clear enough. Two different views: One with God at the center, one with man at the center. Beck emphasized his position: "Jefferson said fix reason firmly in her seat, and question the very existence of God. I have applied that to not just God but everything. . . . Empower yourself." Oh, and one little thing: It seems that the show we taped was a little longer than the 41 minutes typical for Beck shows archived at his website. I went to the website a few days later to see how it all looked, and—surprise—my comment that "Nothing works apart from Jesus Christ," and Beck's initially curt response, were not there. I guess something had to be cut. I find it almost impossible to view Beck's show. He is a perfect example of one who has just enough knowledge to be dangerous. He obviously doesn't understand Christianity, or, I suspect, his own faith. Thomas Jefferson was a very great man some of whose ideas about religion [and revolution, and Reason (with a capital "R")] were very silly, and nobody with respect for the faith would quote him on it. "For reading and declaiming aloud"
"So it is written, so shall it be"
On "the opiate of the masses"
"Love to the loveless shown"
"The better angels of our nature"
"I know the meaning of the cross"